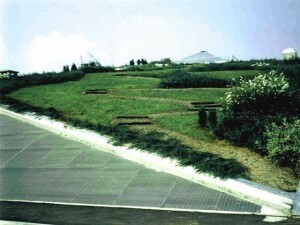 Vulcaflor is a volcanic substrate, a convenience product, of easy application, free of dangerous toxic substances and infecting seeds which is an ideal substrate for the construction of green roofs, planters and any kind of green end uses allowing to create a residence for green grass carpets as well as for plants having larger dimensions. • VULCAFLOR INTENSIVE making the fertile basis for roots of the green essences for which an adequate irrigation system has to be prepared in accordance to plant type. The composition of Vulcaflor Intensive is as follows: fertile soil composed of a mixture of volcanic materials (pumices and lapillus of which approx. 70% volcanic lapillus and 30% pumice having the grain size of 0-10 mm), organic substances (like blond peat of medium grain size) and/or organic substances with humus (like vegetable compost material) and complex fertilizers with nitrogen in form of controlled transfer. • VULCAFLOR EXTENSIVE which is the ideal substrate for construction of roof greenings of the extensive type with lower thicknesses, bearing capacities of the ceiling (100-200 kg/sqm) and with vegetal types at reduced hydric and nutritional feeds, requiring reduced maintenance. The composition of Vulcaflor Extensive is a fertile soil composed of a mixture of volcanic materials (pumices and lapillus of which approx. 90% of volcanic lapillus and 10% of pumice having a grain size of 0-10 mm), organic substances. • VULCAFLOR LIGHT which is a fertile soil composed of a mixture of volcanic materials (pumices and lapillus of which approx. 20% volcanic lapillus and 80% pumice having the grain size of 3-7 mm), organic substances (like blond peat of medium grain size) and/or organic substances with humus (like vegetable compost material) and complex fertilizers with nitrogen in form of controlled transfer. – VULCAFLOR is a finished product, soft textured, free form toxic or dangerous substances and weed seeds. 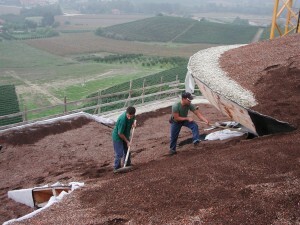 – VULCAFLOR is a ideal substrate for the construction of green roofs, flower boxes and every type of realization in the green where a reduced intervention of maintenance is required. – VULCAFLOR intensive forms a fertile root layer for the essences of green gardening. 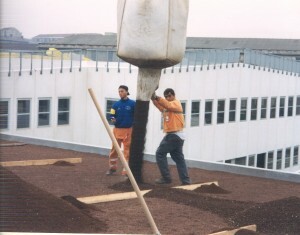 – VULCAFLOR extensive is a ideal substrate for the construction of green roofs of the extensive type with reduced thickness, available load bearing capacity of the attic (100-200 kg/mq) and lawn with plant essences with reduced water and nutritional needs. 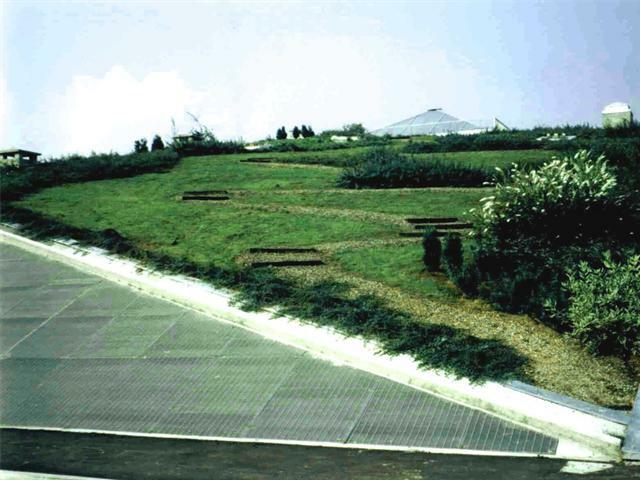 – VULCAFLOR LIGHT is a light substrate ideal for the pump in the construction of green roofs.